Sign-up and receive Property Email Alerts of Residential Estates in Balugha River Estate, Glen Garriff. 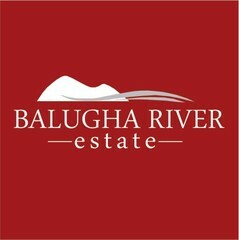 Located 25km north-east of East London, Balugha River Estate is an exclusive, established development that is blessed with a natural beauty that one may expect from the Eastern Cape. With indigenous flora setting the backdrop to the coral blue Indian Ocean, it is also sheltered by naturally sculpted sand dunes, covered with plants and trees and providing direct sea and river access. To the east, the river forms the northern boundary and creates a breath-taking blend of serene river mouth and crashing waves of the ocean. The vision of Balugha is to celebrate the relaxed lifestyle of the area; renowned for its harmony with nature and visual cohesion with homes located on it. Residents will enjoy all the amenities for an estate, but also the privacy that we all seek. The feeling of spacious, open homes means that one would be forgiven for thinking that they are the only ones enjoying the stunning river views. Low walling is therefore required on the public-facing side and landscaping in this direction is also required to be simple and open. With that said, you are still spoilt for choice with a selection of upmarket house types; all stocked with exceptional finishes. The large plots will all enjoy established roads, pre-paid electricity meters, their own water supply and an on-site water filtration plant. A waste removal treatment plant is subtly unassuming and will not interfere with your holiday-like experience. With all major amenities within 8km and the walk to the beach a mere two hundred metres, Balugha is set to be the hottest property in town.